Efficiency, rapidity and cost-effectiveness: are the qualities of the new Cavit cleaner, the underwater cleaning machines in cavitation. They allow to clean the hulls, propellers, rudders and all submerged surfaces of any material and size, avoiding the cost of traditional dry dock, and avoiding or reducing the stop time ship. Cavit cleaner does not remove the anti-fouling paints, guaranteeing the respect for the environment, thanks to innovative patent on cavitation cleaning, which allows to operate underwater marine environment and on the surface. 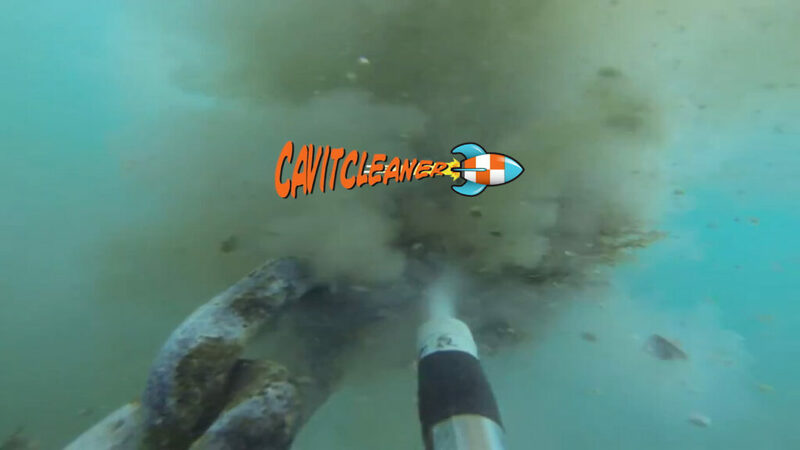 Cavit claner, CE approved, is authorised of Coast Guard for underwater cleaning . Cavit cleaner is offered in different versions, with electric motorization (silent, easy to carry and reduced overall dimensions),Yanmar diesel (reliable and fuel economy) and Honda Petrol (powerful and reliable). They are characterized by high efficiency and ease of use, for professional users (divers, nautical shipyards, etc.) and for private users (boaters, anglers, associations). The innovative and intelligent new accessories such as the Twin jet gun (with double nozzle cavitation), the extension kit (to clean even in places less accessible without removing the grates), the new Sting Ray plate (to clean large areas in a short time and with little fatigue) make the use of our machines even more efficient. The new gun Evo2, available in sizes XS, S, M, L, is as standard equipment in all Cavit cleaner machines.